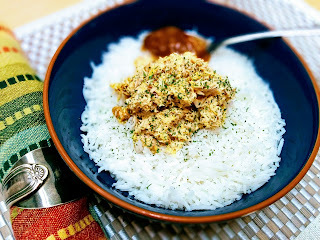 There was leftover basmati rice in the fridge, so I pulled some tuna cans out and did some conjurin'. Mix the tuna, mayo, spices, and walnuts, then serve over rice with a spoonful of mango chutney. Just a spoonful of chutney helps the yummy lunch go down. Sprinkle with a little dried parsley if you like the color green (I do). And I was craving some kind of savoury biscuit to go with it (biscuit as in the American style: soft lumps of cooked dough, a bit crispy on the outside and mealy on the inside). 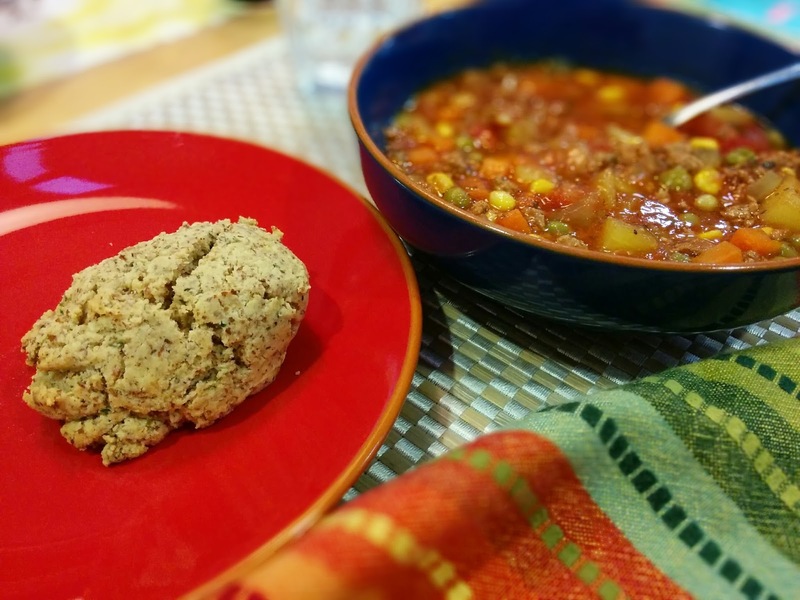 I've used this recipe from Elana's Pantry before, but today I heavily adapted it as I didn't have enough almond flour and I wanted to make it savoury and herby. Mix dry ingredients and herbs and spices in a bowl, and in a separate bowl, beat eggs and oil together. Then blend the wet ingredients into the dry, and drop in big spoonfuls onto waxed paper on a baking sheet. Bake at 170 C/350 F for about 14 minutes. Serve with soup and self-respect. The J-Bean is officially nine! He's always coming up with new and nifty food combinations, and he requested these for his birthday because "mug muffins are bigger than regular muffins." I made up a recipe just for him, and now I will share it with you (even if it isn't your birthday). 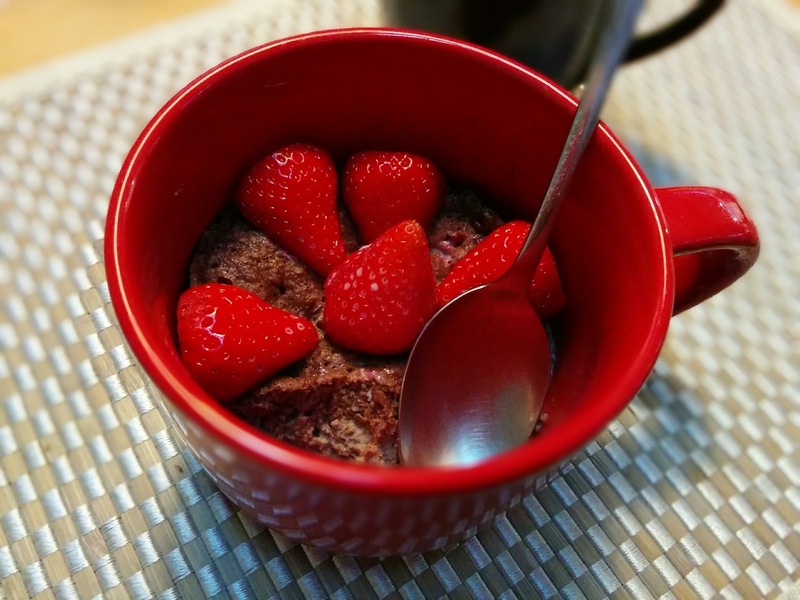 Beat an egg in the mug, then stir in the oil, salt, baking soda, defrosted and chopped strawberries, cocoa powder, maple syrup, and almond flour. Stir well and lick that spoon because eggs are so nice in Japan you don't have to worry about salmonella. Cook in your microwave for a couple minutes, then splash with some soy (or other dairy-free) milk, if you like. Top with fresh strawberries and birthday candles. Eat with a spoon, but don't forget to take the candle wax out first.